May | 2010 | Expecto Patronum! Well, let’s set aside for a moment the erroneous assumption that Snape is after the stone. How about Nicolas Flamel? Flamel is the one (off-stage) character in Rowling’s series that has a life outside the pages of her novels. In fact, he’s the one character who actually had a life! Flamel remains an obsessive object of popular culture, most recently as the subject of the series The Alchemyst: The Secrets of the Immortal Nicholas Flamel. In PS/SS, Flamel’s Philosopher’s Stone – and its intersection with the Snape and Quirrell plotlines – will put the Trio on their first major adventure. Next time, we’ll talk a bit more about these intersections. And, of course, Quidditch! He looked in the mirror again. A woman standing right behind his reflection was smiling at him and waving…. She was a very pretty woman. She had dark red hair and her eyes – her eyes are just like mine, Harry thought, edging a little closer to the glass. Bright green – exactly the same shape, but then he noticed that she was crying; smiling, but crying at the same time. The tall, thin, black-haired man standing next to her put his arm around her. He wore glasses, and his hair was very untidy. It stuck up at the back, just as Harry’s did. When Harry acquired the Invisibility Cloak, Dumbledore’s note told him to “use it well.” So what is the first thing Harry does with the Cloak? He goes on a solo adventure to try to find out more information about Nicolas Flamel. Remember, the Trio have convinced themselves that they need to find out about Flamel so that they can stop Snape [sic] from stealing the Philosopher’s Stone. I’m not entirely sure why they think they know more than the adults (well, probably because they are kids, and kids always know more than adults!). But anyway, they do. So Harry steals out of the portrait hole under his Invisibility Cloak and makes his way to the Restricted Section of the Library. And after a noisy mishap, he finds himself pursued by Filch… and Snape… and ducks into a classroom so they won’t knock into him. And there, he finds the Mirror of Erised, with an inscription reading: Erised stra ehru oyt ube cafru oyt on wohsi. No, it’s not another language. It’s English backwards and broken up. For example, the first phrase (backwards, from the end of the line) reads: “I show not your face…” I imagine you can figure out the second phrase without assistance. The next night, he brings Ron, who sees himself as Head Boy and Quidditch Captain. (In case you couldn’t figure it out, the second phrase reads: “but your hearts desire”). On the third night, he encounters Dumbledore who explains what the mirror does. He’s seen Harry here before. Sat here in this very room, invisibly watching Harry gaze into the Mirror. But why might Dumbledore be keeping such a close eye on the boy? Well, aside from the obvious (he’s Harry Potter – the Boy Who Lived – the Boy of the Prophecy), Dumbledore is probably curious about what Harry is going to do with the Cloak. Will he “use it well”? Even Ron realizes that the Mirror is having an unhealthy effect on his friend. He urges Harry not to go back for the third time. He urges him to play chess! To visit Hagrid! To do anything except sit in front of that mirror! 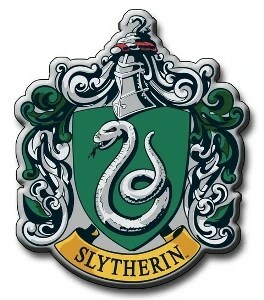 Harry’s vision of his family gives him neither knowledge nor truth. It is his desire for what his family should be. That doesn’t mean that the people he sees in the Mirror do not resemble his actual family members. But as a boy without a family, Harry not only desperately wishes to know his family, he desperately wishes them to be some idealized version of themselves. 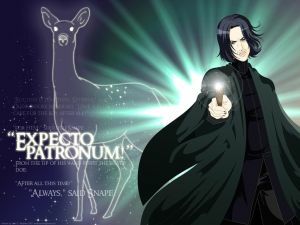 This dynamic plays out for years before Harry finally witnesses Snape’s memories in the “Snape’s Worst Memory” (SWM) chapter of OotP… and discovers that his father was not perfect – that as a teenager at least, he had tendencies toward arrogance and bullying. In some ways, I think, the Mirror shows us more about Harry than it shows Harry about his family. In showing us the deepest desire of his heart, we can see how this desire plays out during the series, sometimes leading him to make false assumptions about his parents and parental figures. But in order to become a man, Harry will ultimately have to forgive his father and all his other surrogate parents and protectors for their all-too-human imperfections. To his credit, Harry does take Dumbledore’s advice, and moves on from the Mirror and goes back to finding out what he can about Nicolas Flamel… and to considering how he can prevent Snape [sic] from stealing the Philospher’s Stone. Hermione had fought her way across to the stand where Snape stood, and was now racing along the row behind him; she didn’t even to stop to say sorry as she knocked Professor Quirrell headfirst into the row in front. Reaching Snape, she crouched down, pulled out her wand, and whispered a few, well-chosen words. Bright blue flames shot from her wand onto the hem of Snape’s robes. Okay, kids. Here’s where it starts getting good! The Halloween and Quidditch chapters are really two parts of the same story, and they’re very much centered around Quidditch. In the Halloween chapter, Harry receives his Nimbus Two Thousand broom, learns the rules of Quidditch from Gryffindor captain Oliver Wood, and starts practicing with the Gryffindor team. In the Quidditch chapter, Harry borrows Hermione’s library book (Quidditch through the Ages), has it taken from him by a suspiciously limping Snape, and when Harry tries to get it back, he discovers that Snape’s leg has been mangled by the three-headed dog. The very next day, he is nearly knocked off his broomstick during the Quidditch match against Slytherin – presumably by the Slytherin Head himself. Harry is primed to be suspicious of Snape because Snape is unfriendly (compared to the far more dangerous Quirrell, who just seems like a good-natured buffoon). When Snape takes the library book, Harry starts to wonder what’s wrong with his leg. When he sees Snape bandaging his leg in the staff room, he jumps to the conclusion that Snape tried to steal the Philosopher’s Stone. He doesn’t bother to consider any alternate possibilities (like perhaps that Snape was trying to protect the stone from the person who actually was trying to steal it) – because Snape is somewhat less than happy to see Potter in the staff room. Snape and Filch were inside alone. Snape was holding his robes above his knees. One of his legs was bloody and mangled. Filch was handing Snape bandages. Later, Harry concludes that Snape got his wound on Halloween (a week earlier), trying to steal whatever the dog was guarding… and that he probably also let in the troll. (Actually, Harry would have bet his broomstick that Snape let in the troll. And that would have been one Nimbus Two Thousand down if he’d actually made that bet!). Now, before we move on to the rest of the logic in this scenario, I’m just very curious about Snape’s leg wound. Obviously, he got it in a confrontation with Fluffy. But on Halloween? On Halloween, he was trotting along after McGonnagall into the girl’s bathroom when Harry and Ron took down the troll. Not only that, but Halloween was a week earlier. Why would his leg still be bloody? Why would he still be needing bandages? Why would the boys only have noticed the limp a week later? And why not have just gone straight to the hospital wing? (Okay. Okay. It’s so he can play Mr. Red Herring, I know!). Now, as for why Snape would have been so livid… imagine this from Snape’s point of view. Here is a man who never likes to be seen as vulnerable (possibly why he’s trying to heal the leg himself). Then, a student barges in on him in a vulnerable moment. And it’s not just any student. It’s the student who looks almost exactly like James Potter… the guy who humiliated him over and over and over again and exploited his vulnerability during their schooldays. No wonder he was capslock upset. Curiously, though, he did not take any points from Gryffindor. Now, let’s take a look at the logic from Harry’s point of view. Snape is livid. He’s been “caught” with a mangled leg, taking part in a conversation about how to get past the dog. And he’s conversing with Argus Filch… another person Harry can’t stand. Oddly, I don’t recall Harry ever accusing Filch of aiding and abetting the thief. But logically, if what Harry is saying about Snape is true, then Filch must be an accomplice. Snape has confided in him how he got the wound. And now we come to poor Hermione. At first, Hermione takes the logical stance – i.e. that even if Snape is “not very nice,” he “wouldn’t try to steal something Dumbledore was keeping safe.” (Ron, of course, would put nothing past Snape). The fact that she already knew it was Snape is probably why she stopped scanning the second she got to Snape. One wonders what Hermione would have seen real culprit Quirrell doing if she had bothered to continue scanning the stands near Snape. The irony of the scenario is that when Hermione rushes in to light Snape’s robes on fire, she breaks Quirrell’s eye contact (knocking him into another row)… and thus helps Harry get control of his broom. Snape’s lips were moving because he was muttering the countercurse that was keeping Harry from getting killed. At the Quidditch match, hyper-logical Hermione makes the illogical leap that the hex must be Snape’s… apparently because the boys have primed her to believe that it’s Snape’s. And from this moment, Snape not only becomes the Trio’s only suspect, but Harry never overcomes his general suspicions about the Potions Master, even after he finds out how wrong his suspicions have been. So… how is it that Hermione (of all people) reached such a strong conclusion on such flimsy evidence? Was she trying to get in good with the boys? And when did Snape injure his leg? And if it happened on Halloween, why did it take the Trio so long to notice his injury? It was standing quite still, all six eyes staring at them, and Harry knew that the only reason they weren’t already dead was that their sudden appearance had taken it by surprise, but it was quickly getting over that, there was no mistaking what those thunderous growls meant. Of course, Malfoy doesn’t show up. But he does seemingly let Filch, the caretaker, know that some students will be in the Trophy Room at midnight. In the ensuing chase, Harry and company enter the forbidden 3rd floor corridor and discover the monstrous three-headed dog. Malfoy proves as cowardly as he is malicious. Harry (no matter what) cannot back down. Ron is impulsive and quick-tempered (in fact, he’s the one who speaks up for Harry when Malfoy makes the challenge). Neville, again, cannot remember something (in this case, the password), and so has been stuck outside Gryffindor Tower for hours. Once the adventure starts, neither Hermione nor Neville can return to Gryffindor because he Fat Lady has left her portrait. 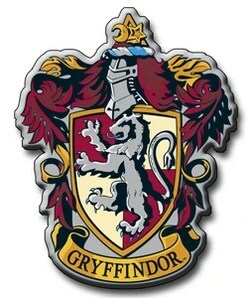 So instead of two Gryffindors and two Slytherins meeting up in the Trophy Room, there are four Gryffindors (two of whom are not at all happy to be there) and no Slytherins – acting as sitting ducks for Filch and his cat Mrs. Norris. Of course, the ensuing chase leads Harry and company to flee into the forbidden third floor corridor… and discover the monstrous three-headed dog. Since JKR was trained in the classics we should assume, of course, that some Greek and Latin myth will wind their way into her tale. The description of the dog is one her first forays into all-out classical myth. When Cerberus, the great worm, perceived us, he opened his mouths and showed us the fangs, not one of his limbs keeping still, and my Leader [Virgil] spread his hands, took up earth, and with full fists threw it into the ravenous gullets. As the dog that yelps for greed and becomes quiet when it bites its food, being all absorbed in struggling to devour it, such became these foul visages of the demon Cerberus, who so thunders at the souls that they would fain be deaf. The way JKR draws the dog has many echoes of Dante’s description. The three-headed dog, then, has overtones of the Hound of Hell (despite Hagrid’s naming the poor misunderstood creature “Fluffy”). 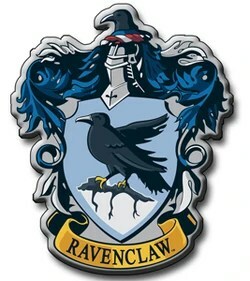 And given that symbolism, we could argue (as I would imagine John Granger does) that what’s underneath the trap door is some sort of Underworld – the Hades of Hogwarts, if you will – and that this Underworld is one into which Harry must descend in order to succeed in his first confrontation with Voldemort. Regardless of Underworld symbolism, meeting up with Fluffy is very decidedly not a good thing. Though our heroes escape, through sheer dumb luck, the dog will later nearly rip Severus Snape’s leg right off. Still, meeting up with the dog does set up the major plot that will play out through the rest of the story. As Hermione points out when they (successfully) make their way back to Gryffindor Tower, that dog was not just standing there. It was standing on top of a trap door. It was guarding something. Harry and Ron, and soon Hermione, will be speculating on what that dog is guarding – and conclude that it’s the package that Hagrid retrieved from Gringotts, the titular Philospher’s Stone. And eventually, they will brew wild fantasies about how Snape [sic] is trying to steal the Stone. Their attempt to prevent that outcome will lead to their first adventure together to save the Wizarding World… and their first lesson that appearances may not always be quite what they seem.